Observation - Mushroom - waxcap? - UK and Ireland. 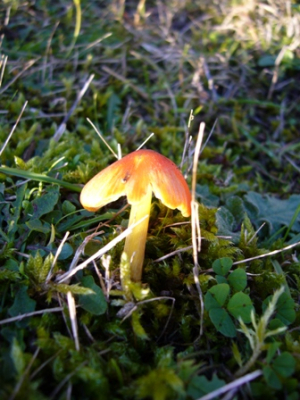 Description: I saw this mushroom in Suffolk, in grassland near an old quarry. Am rubbish at fungi so thought someone might be able to identify it for me! I saw this mushroom in Suffolk, in grassland near an old quarry. Am rubbish at fungi so thought someone might be able to identify it for me!